Performed aboard The Company’s 90 foot Tall Ship, Amara Zee, a replica of a Thames River Sailing Barge. 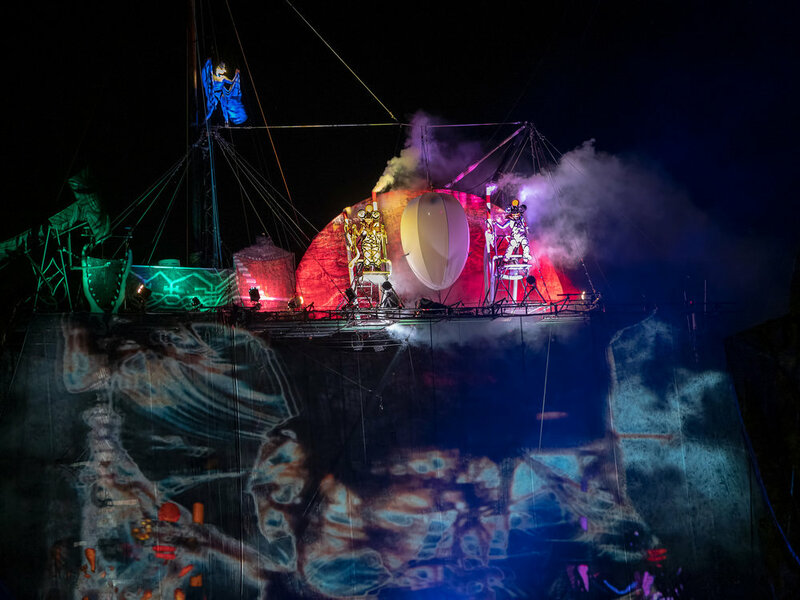 The 21 foot wide Tall Ship transforms the entire deck, masts and all the rigging into a technologically innovative, contemporary theater. 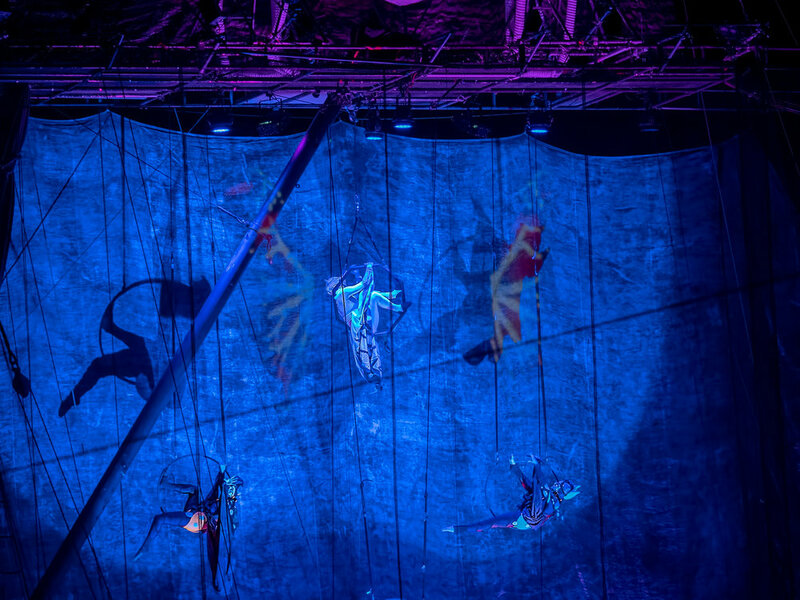 Audiences gather on the shore and experience original music, soaring vocals, aerial artistry and large scenic elements backed by spectacular lighting and sound effects. The production is a continuous cinematic panorama of originally designed video graphics, animations and images. 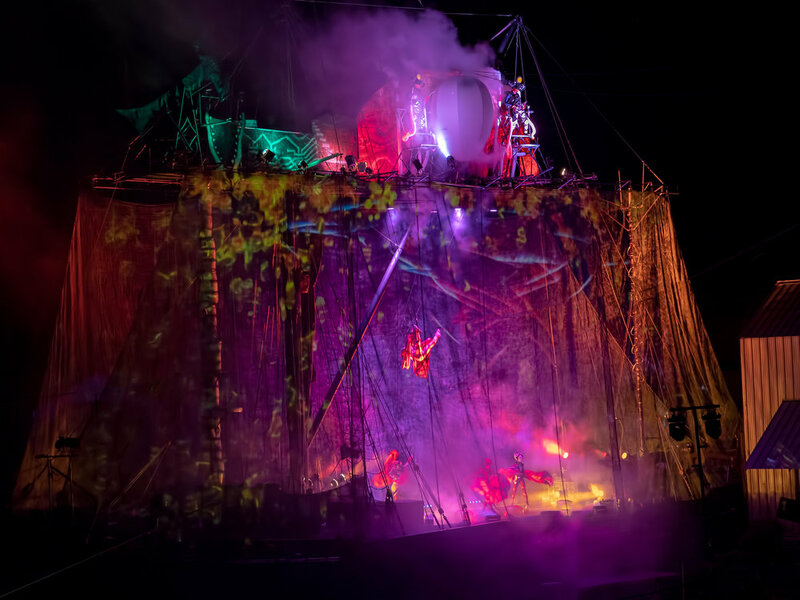 Within the upper trusses and the lower decks, as the Aerialists cavort, a palette of surprises, colors, and mechanical transformations are engineered into this one-of-a-kind experimental rock opera. 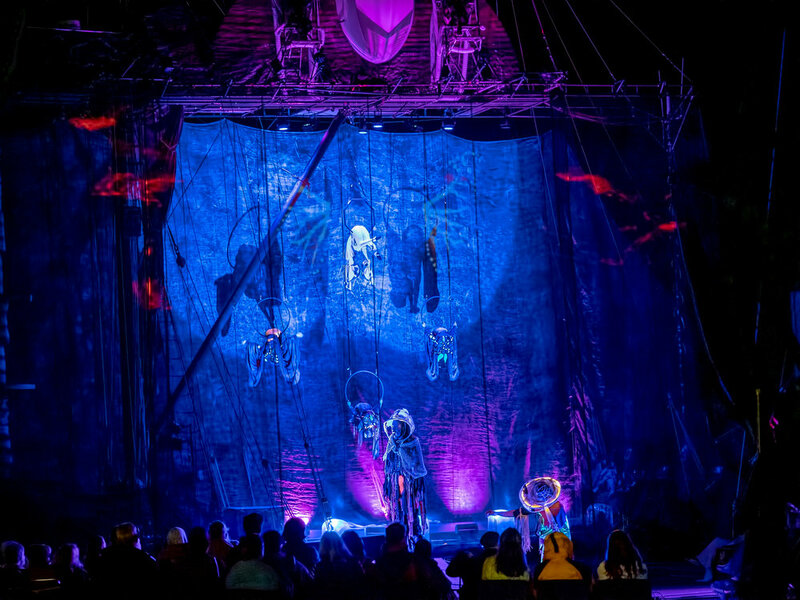 The show was performed here in Victoria at Canoe Cove Marina and is showing for three nights, the third night will be the final performance of this opera to be shown anywhere. One of the gentlemen told us there will be a new show in 2019. 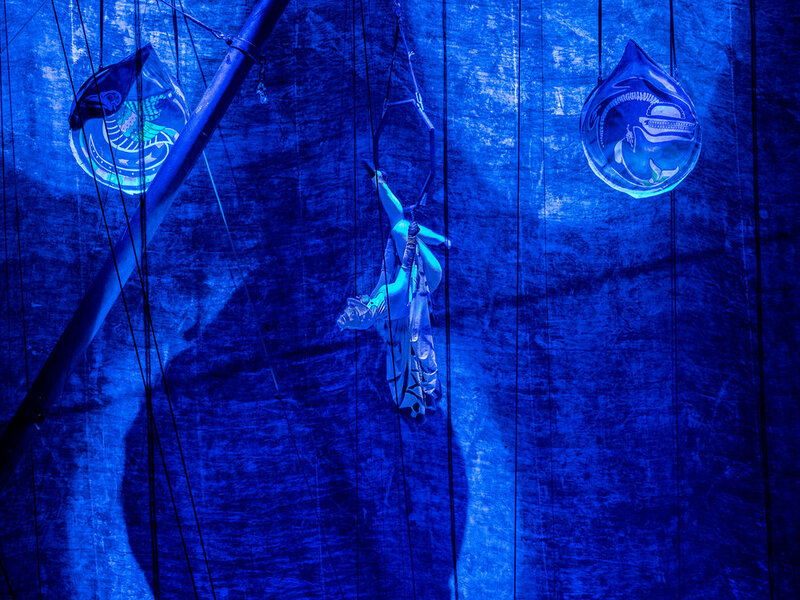 Below is a slideshow of the images I took, if you click the “Nomadic Tempest” link on bottom left of each image it will open a larger version in a new window.